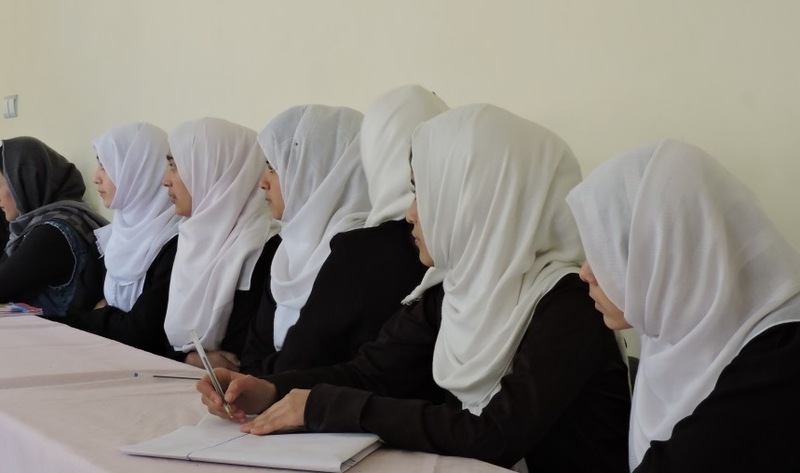 It is common for Afghan girls to be deprived of their basic right to education. Some Afghans believe girls are born to be housewives, give birth, raise children and stay at home. At the same time, these Afghans would not take their women to male doctors. Najia was stopped by her oldest brother from going out to study, but she continued going school without letting her brother know. Najia was around 10 years old when she lost her father. She was left with her mother and brothers. Her brother left for Europe and Iran sometimes after the death of their father. Najia was left alone with her mother. She continued her school up to 8th grade when her brother came back to Kabul from Iran. When he heard Najia was going to school, he stopped her and told her to work at home. She left school and for two years stayed at home with her mother. When her brother went back to Iran, Najia started going to school again. She continued for a year but then her brother in Iran learned about her schooling. “When my brother learned about my school, he stopped me and for 5 years I was away from school,” Najia said. During these 5 years, her brother called regularly but she never talked to him on the phone. Each time he called, she would give the phone to her mother to talk. Her brother would never miss urging his mother not to let Najia go to school. “One day he decided to go to Europe. When he was in Finland, he didn’t know the language. He faced so many problems. He couldn’t fill simple forms,” Najia recalled. There, he understood the importance of education and learning languages. He then called Najia and asked for forgiveness. He knew he was wrong all the time. Najia didn’t want to accept his apologies, but he kept begging for her forgiveness. After 5 years, Najia decided to resume her schooling but, this time, the administration of school didn’t let her in. They told her that the policy was to readmit those students who were absent for less than 3 years. Najia tried a lot and knocked different doors, but none worked for her. After sometimes, a friend of hers informed her about a Vocational School of Management and Economics for girls. She took entry exams and succeeded. She is now working hard to catch up with all of those precious years she lost.